Rodea the Sky Soldier is ranked in the 6th percentile of games scored on OpenCritic. It's hilarious to me that this version of the game feels the most natural, when it's treated as nothing more than bonus material! The Wii iteration of Rodea comes packed with the first run copies of the game, and Naka himself actually announced on Twitter that he'd like fans to play it, specifically. Was that a subtle indictment of the other two versions of Rodea? Hopefully not, especially because (as you've seen in my reviews of both games) neither is terrible by any stretch of the imagination. That said, playing Rodea on Wii it becomes clear that the system was the true destination for the game. The controls here feel the most natural (though still, sadly, imperfect), taking full advantage of the Wii Remote's excellent motion-sensing capabilities. The Wii version of Rodea feels more unique than either of the other takes, and though it's nowhere near as pretty to look at as the Wii U iteration, it's also packing a respectable presentation. Why the motion controls couldn't have at least been an option for the Wii U Rodea is confusing, and I walked away wishing Naka and company would have given that proposition some more thought before moving forward with the control scheme they ultimately settled upon. I'm pleased that all three Rodea games are available to experience, however, and this bonus disc should act as some compelling frosting for those who choose to buy the game for Wii U.
Rodea the Sky Soldier is not without its annoying flaws, and it's certainly no Mario Galaxy, but it serves as a fitting swan song for the dearly departed Wii. It's a game that embodies everything great about the Wii, taking a simple concept and running with it, bringing us a unique and fun game. Glimpses of Yuji Naka's outmoded genius can be seen in Rodea's barren skies, but a paucity and dissonance of ideas make this a failure. Even with a graphical facelift and some new customization options, the Wii U version of Rodea pales in comparison to the Wii build, and it doesn't come close to Naka's earlier works. Overall, Rodea the Sky Soldier is an interesting game and worth owning for anyone with a Wii or WiiU. Rodea the Sky Soldier really hits that sweet spot when it comes to evoking the wonder of flight, but the troubled developmental process is tangible in the final build. For those of you who can stomach older experiences however, you'll likely overlook some of its issues and find a lot to love. The Wii U version of Rodea is simultaneously a game with a lot of charm and one that's difficult to love as much as you want to. When Rodea works and all of its gears are cranking along smoothly, it's an exhilarating joy to play. But everything can come crashing down at any time: an enemy encounter reliant on overly finicky aiming or a misplaced attack that sends you careening into the abyss can sour the sense of wonder in a flash. Unfortunately, Rodea the Sky Soldier is flying in low altitude. There is great potential, but the bad controls and camera are what shoot Rodea out of the sky. Here's hoping we get to see a bigger and better sequel one day. Fans have waited a long time for Rodea the Sky Soldier, but unfortunately the final experience never comes within range of Yuji Naka's past masterpieces. The issues begin with the fundamental mechanics of flight and persist into its pacing, controls and stability, ultimately tainting even the most joyous moments of freedom afforded by Rodea's affinity for the open air. There are moments of bliss that shine through the mess, but the pure celebration of flight that Prope set out to deliver on Wii has lost many of its most important features during the transition to Wii U, and in the end, Rodea the Sky Soldier fails to live up to its lofty ambitions. Rodea the Sky Solider has an interesting story and cast, with a colorful world that is fun to fly around in. Yet that flying around should feel even better, and it just lacks that polished feeling. It's a unique game and one that reminds me of early era games I played back the Playstation or Nintendo 64. It's 2015 though, and I can't overlook all the various issues that bring the experience down, making it feel like more of a relic then a new game released today. It's tries to do new things and soar high, but it ends up staying rather grounded and is only recommended to folks looking for a unique but flawed experience. Somewhere in this package lies a great game with plenty of excitement to offer- it just has a hard time presenting itself. Is it fun? Of course it is. With enough time and dedication, not only would you be able to master the game and its controls, but also have experienced one of those rare feelings of complete satisfaction just for having played the game. It also depends on your own tastes. Some would say that the best version of the game is the original Wii version, which is only available exclusively with the launch version of the retail game. I can't say that for myself, having only played the Wii U release, but if you're interested in Rodea the Sky Soldier, keep a sharp eye out for the retail version. We're not likely to find out exactly what troubles the team at Prope faced on Rodea's rocky road to market. The end product is evidence enough to suggest that something went wrong along the way, and it's a real shame. With a little more refinement and even the lightest of facelifts, Rodea could easily have been a Nintendo exclusive worth owning. Suffering from technical gaps, imprecise controls and a predictable and clichéd plot, Rodea still manages to display an interesting concept and gives the player a degree of freedom that is unusual in similar titles. Pity that its qualities don't weigh enough to redeem its flaws. Rodea The Sky Soldier on 3DS has very few good things going for it, overshadowed by atrocious controls and bland visuals. It is designed to be replayed, but I don't ever want to experience it again. I do believe that Rodea could have been a good little game. The ambition it has going for it is certainly appreciable, but ambition not put to good use is ambition wasted. Unfortunately, despite being one of the few high profile third party Wii U games, Rodea is a dud. Any intriguing ideas that Rodea the Sky Soldier contains are unfortunately offset by botched controls, mechanics and presentation, resulting in a major disappointment. Horrid visuals and unintuitive gameplay make Rodea the Sky Soldier one of the worst action games I've played in a long time. Rodea the Sky Soldier is simply a game that really needed more time, and a course correction. A lot of promising concepts are seen and experienced throughout, but the flying and Sonic homing-style combat would have been executed so much better with a bit more polish. The environments and visuals are possibly the worst to be seen in 2015, but at least the lovable character Ion provides charming quips of entertainment. The drunken and confused sky soldier Rodea, however, needs to have his pilot license revoked. 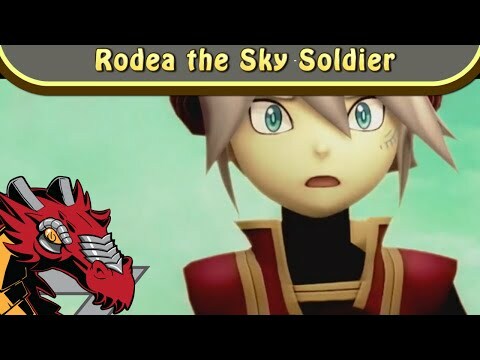 Rodea the Sky Soldier has to be one of the biggest letdowns of the year. It's missing quite a bit, including comprehensive gameplay, solid visuals and any sort of option to play like the original Wii version does. It's sad to say that this high-flying adventure falls flat before it stands a chance to get started. Kadokawa's interpretation of Rodea the Sky Soldier on Wii U misses the mark on so many levels, and it's a prime example of how to butcher a solid idea for aerial action. In the end, Rodea the Sky Soldier probably should've just come out years ago, in its original form. The controls, we're willing to bet, are way better with the Wii remote, as they simply feel like garbage the way they stand now. A tragic failure that attempts to revive the wonder of NiGHTS and Sonic The Hedgehog, but falls victim to publisher melding and terrible controls. 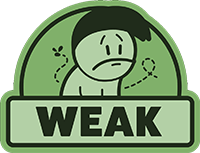 While the cinematics and storyline are fairly eyebrow raising and interesting, the rest of the game is a broken platter of inedible stale pastries. Rodea the Sky Soldier is one of those games that has good intentions and great dreams, but fails to capitalize on them. With a bit more time in the oven (or a few patches), this game could be the next big thing. Unfortunately, as it stands right now, this is one title only for the most diehard of action fans. You can see the potential in Rodea's high-flying, swooping, soaring gameplay, but it's all squandered by the woeful visuals, poor design and terrible controls. The Wii U might be short of quality games this winter but you'd have to be pretty desperate to buy this.